Yay, you're back! 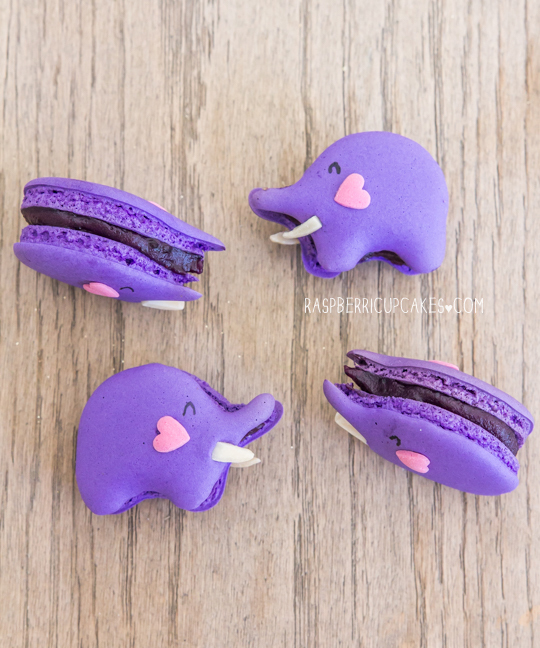 Good to see you're baking again :) These are absolutely adorable, the slivered almond trunks are genius! O. M. G. Steph. These are unbelievably cute! You've really outdone yourself. How completely absurdly perfect!! You're amazing! Welcome back Lovely. The macarons are insane. So cute. You are amazing Steph. So talented. OMG THESE ARE SO CUTE. 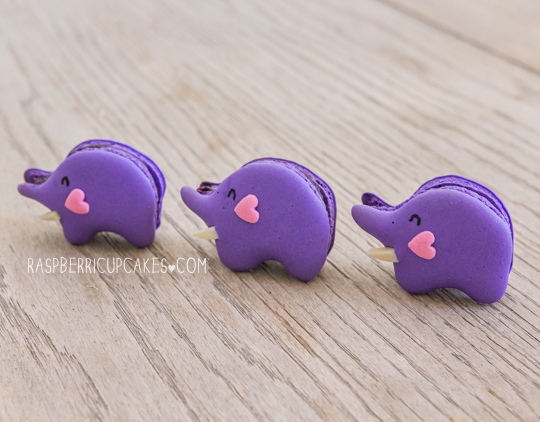 I thought your cookie monster macarons were BOMB, but you've really outdone yourself with these elephants!!! Wow, these are seriously amazing. The elephants are so adorable. You're such a genius! 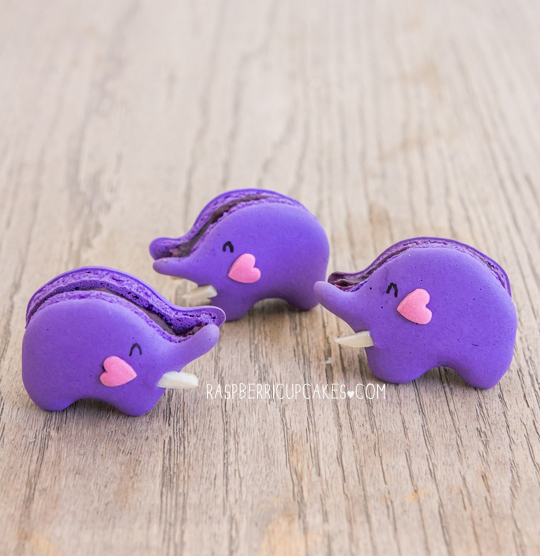 OMG, these are completely adorable! I've got a friend who'd just adore some. I never would have figured out slivered almonds for tusks! Just had to let you know that I woke up feeling a little grumpy today. Then I opened up your new post and I just couldn't stop smiling. 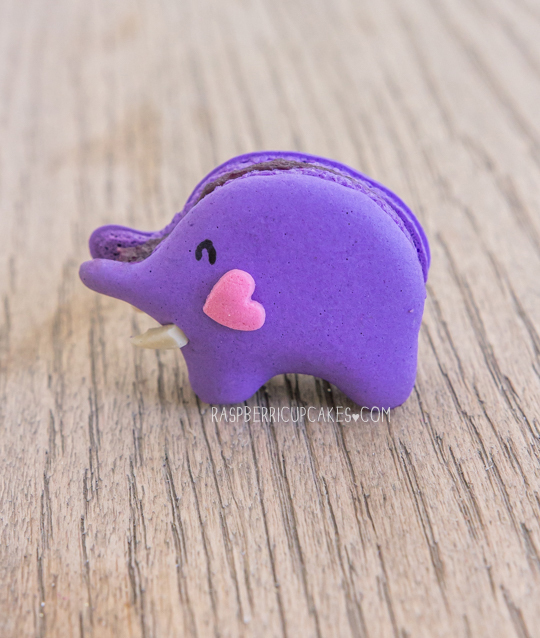 These elephants are just so freakin' adorable. You are a true artist! Thanks!! These are soooo cute! Do you think you would make the black skulls again? I think these are the CUTEST things I have ever seen. i just can't stand all the cuteness!